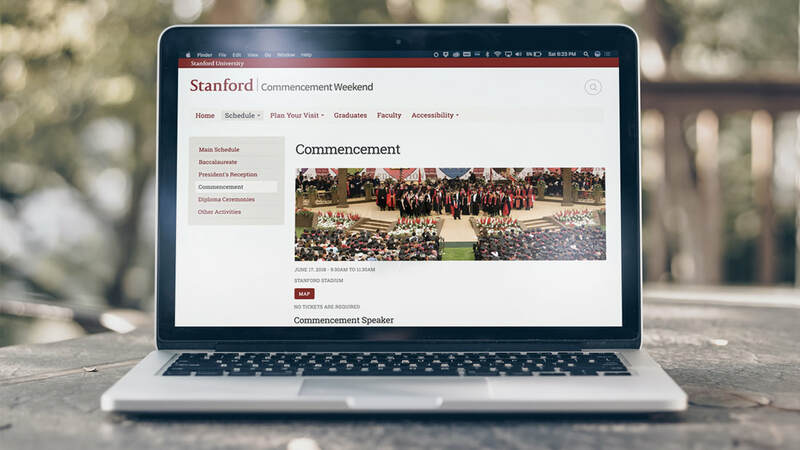 Commencement festivities attract thousands of family and friends to the Stanford campus over the course of several days. 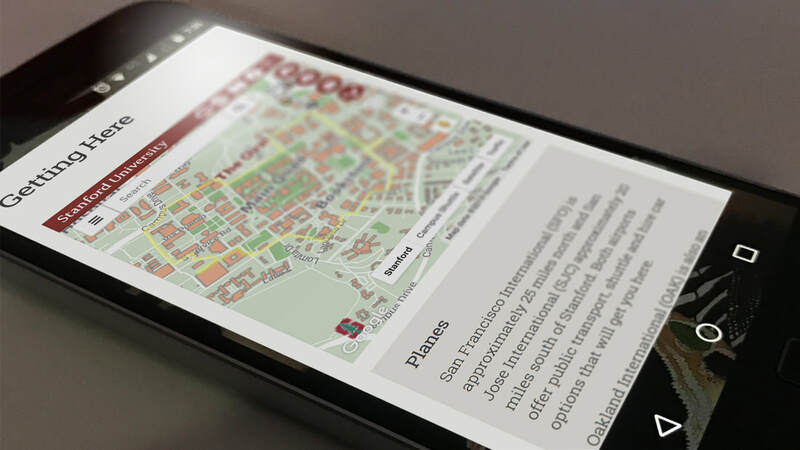 With so many people expected to reference the site from their phones, we needed to redesign the site with mobile users and resources in mind. 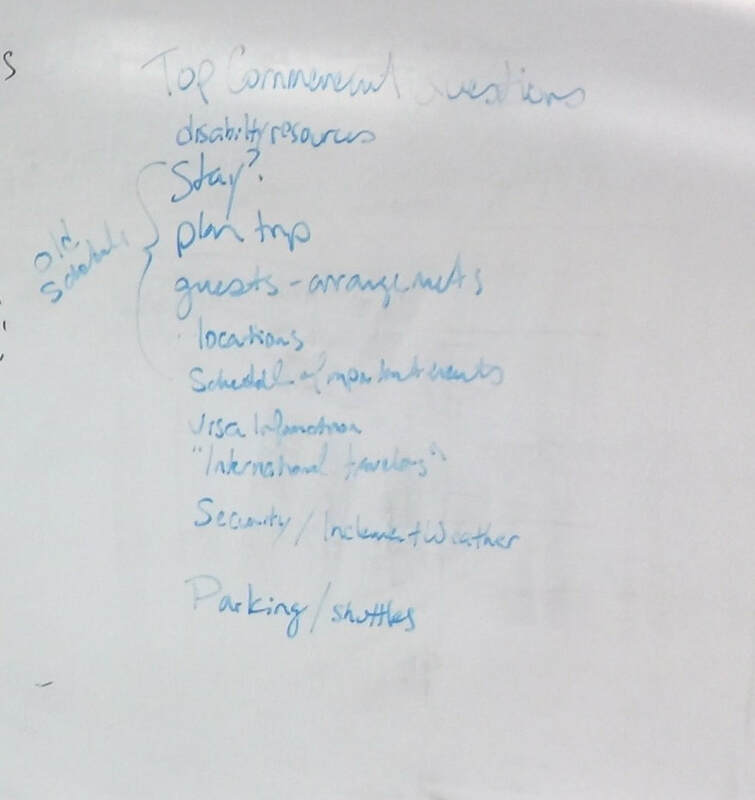 After creating rough outlines, I grouped information to match the needs of the guest persona since they would be least familiar with the campus. 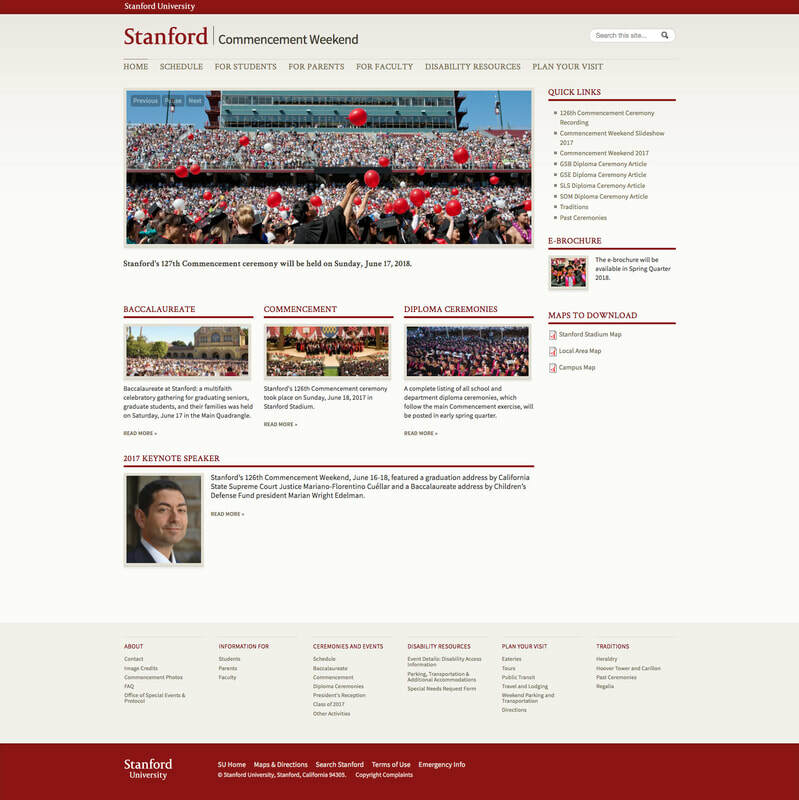 Although Commencement weekend occurs annually, I wanted to understand when specific content was most relevant to users. 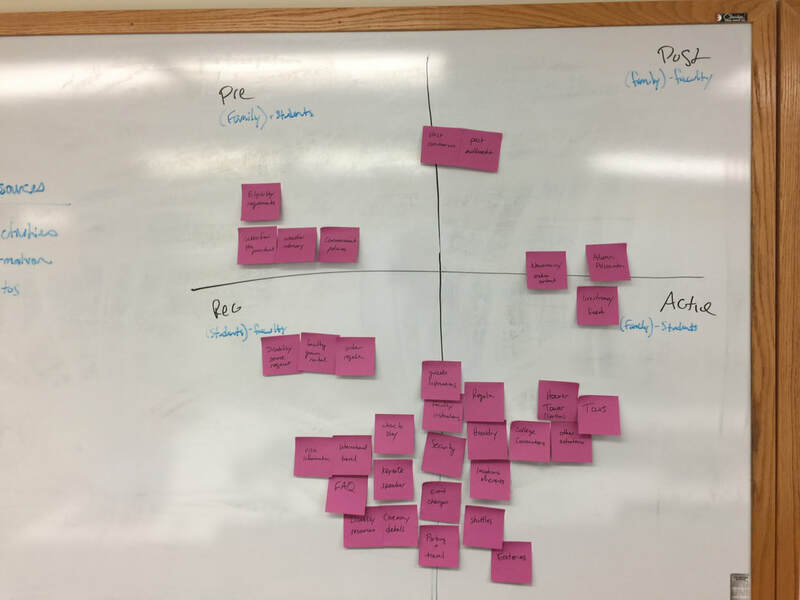 To find out, I mapped several types of content against four stages; before, registration, active, and after. 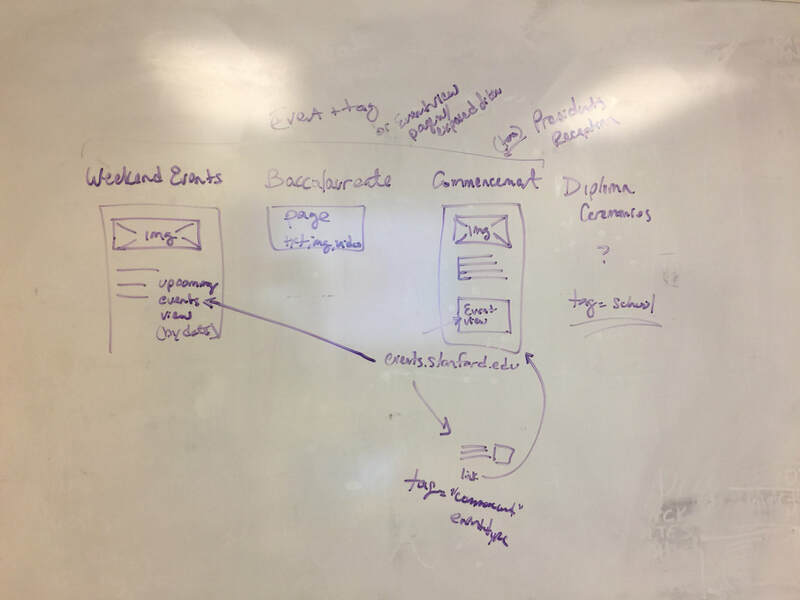 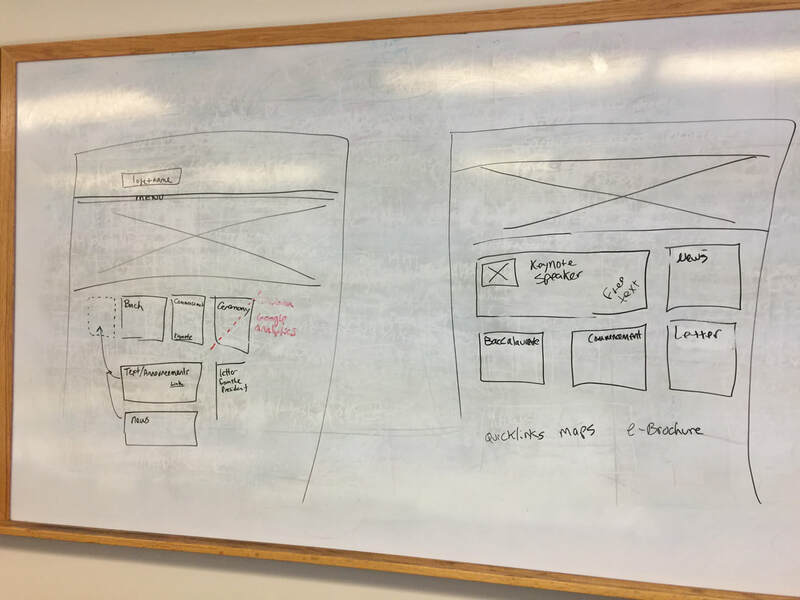 Based upon the new user personas and their top questions, I began wireframing homepage concepts to accomplish the client’s primary goals of the website redesign. 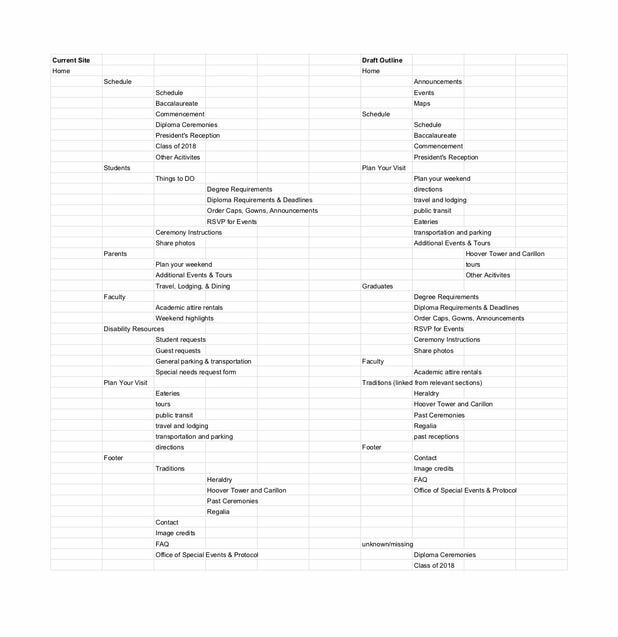 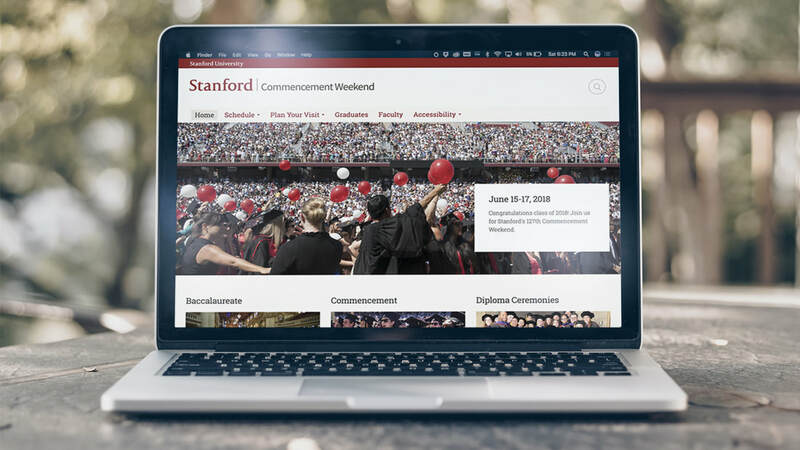 To maximize exposure for Commencement Weekend events, I planned to host the event data on Stanford.edu and dynamically pull it into the Commencement website. 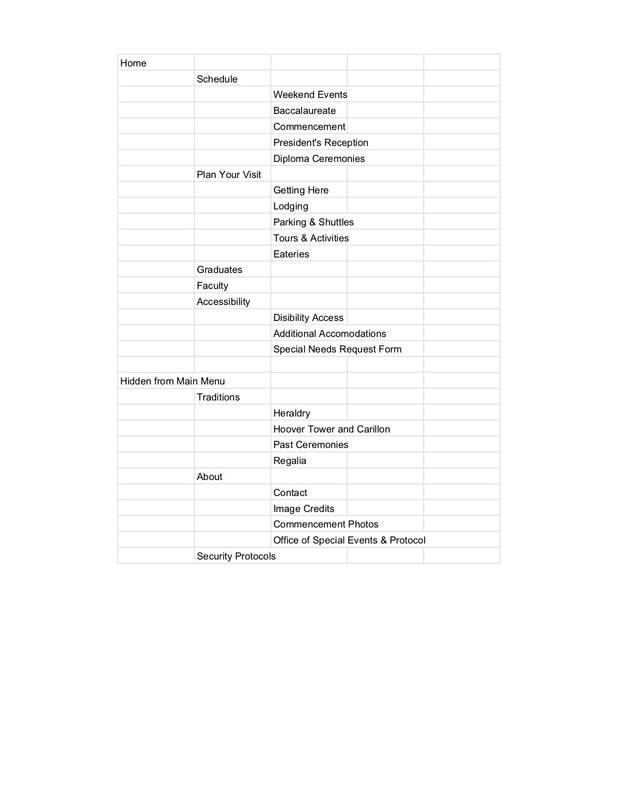 This also streamlines annual updates and avoids duplicated content entry.